it seems I have painted and plated myself into a conundrum. with the time and monies into the stock petals and Ebrake it does not seem cost effective for me to change out either item to a balance bar/new petals or hydraulic ebrake. Aahh..Yes, those archaic things I remember from a time gone by, something to do with a rotating drum and some sort of silly friction type thing that may or may not actually stop a vehicle, and, in ANY direction but straight. And, the final end to the insanity of drums, when BERT VORGON was born, 25 minutes into a track day, when the pedal goes to the floor, I manage to get back to the pits, get out, jack car, get wheels off, crack brake bleeder, and get SCALDED by still boiling brake fluid, and I mean boiling, which says my fluid was in excess of 500+ degrees. Anyhow, I would just pinch the front brake lines to slow down the fluid flow, then the proportioning valve MIGHT work. bertvorgon wrote: just pinch the front brake lines to slow down the fluid flow, then the proportioning valve MIGHT work. "No backing off the throttle on the straits, absolute full throttle until you see god - then brake!" lets say im able to connect the ebrake on the 200 calipers @ the 12 o'clock position. will I still need to install a proportioning valve to get proper balance ? 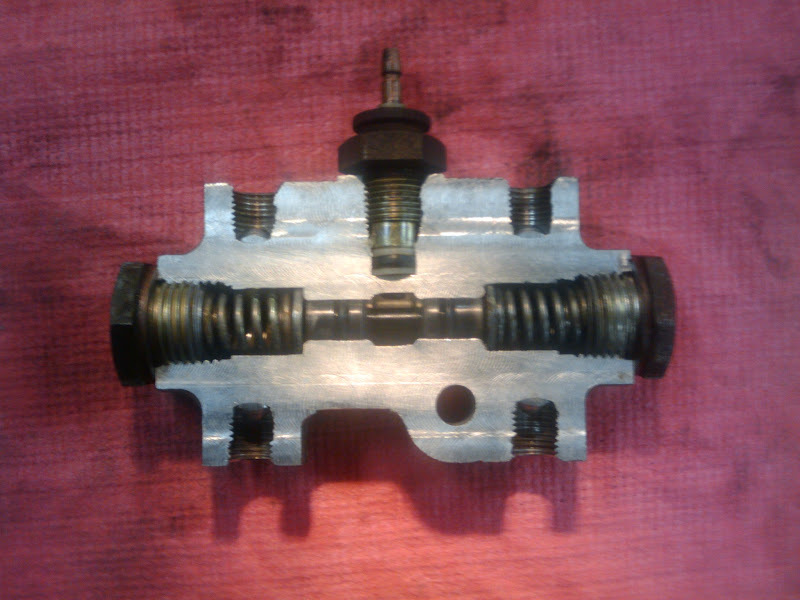 RMS wrote: Let’s say I’m able to connect the e-brake on the 200 calipers @ the 12 o'clock position. Will I still need to install a proportioning valve to get proper balance ? Having not run that exact set up, but set up similar cars, yes the 200SX disc will work much better than the OEM drum set up and may out power the fronts in a panic situation. In this case I would think a proportioning valve would be required. I realize that.... but if I understand right the stock shuttle valve thing a ma jig adds a tiny amount of balancing and is mainly to tell the driver one circuit has failed. from wilwood: "part # bla bla bla .......portioning valve is used to adjust the rate of increase in rear brake line pressure ,relative and proportionate to the increase in front brake line pressure"
so would this not balance the system and give me the adjustments needed no matter what brakes I am running? I don't need a warning light to tell me my fluids are low that's what pre and post trip inspections are for? Yes, the "thingy" on the strut tower offers no proportioning. 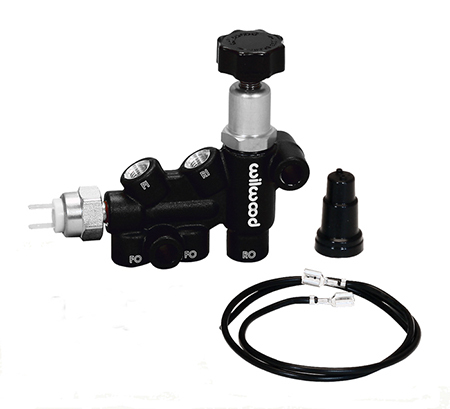 I cannot think of any reason why the proportioning valve would not function with the potential system you describe.